Part of Louis Vuitton’s Spring/Summer 2019 pre-collection, this menswear and accessories line situates the brand’s iconic monogram among stars and galaxies. Available in Louis Vuitton boutiques, price on request. Saturn gone kitschy—designer Manish Arora adds his signature spin on this party bag with bright colours and embellishments. Available on Manisharora.com; ₹ 33,051. 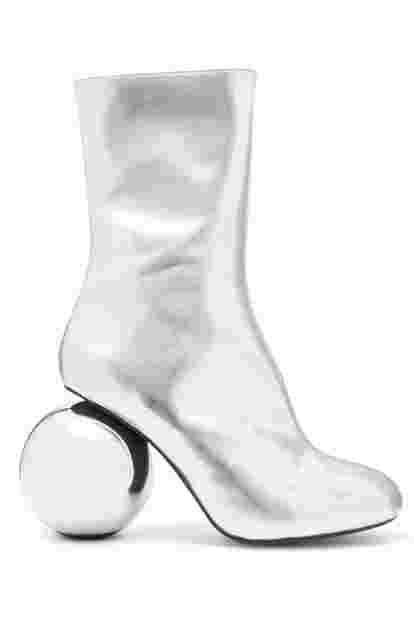 Reminiscent of 1960s mod style, this silver shoe with spherical heels looks like it was made for a costume in Star Trek. Available on Netaporter.com; $880 (around ₹ 64,200). 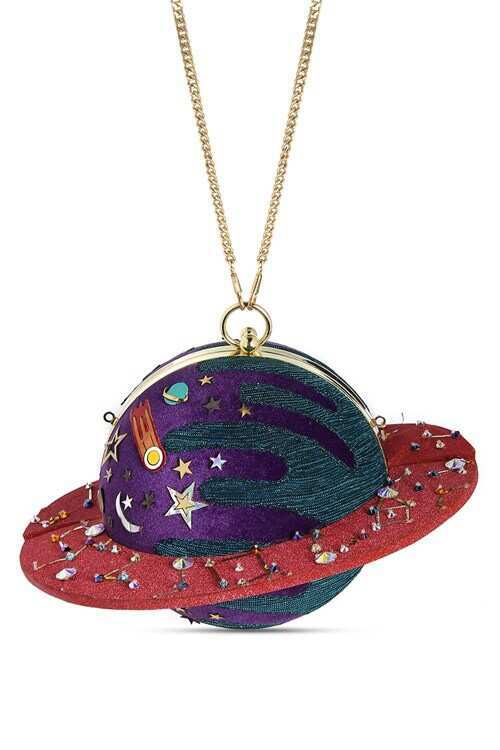 The Italian luxury label puts a fun spin on extraterrestrial creatures with their Space Monkey charms crafted in jacquard and leather. Available in Fendi boutiques; price on request. 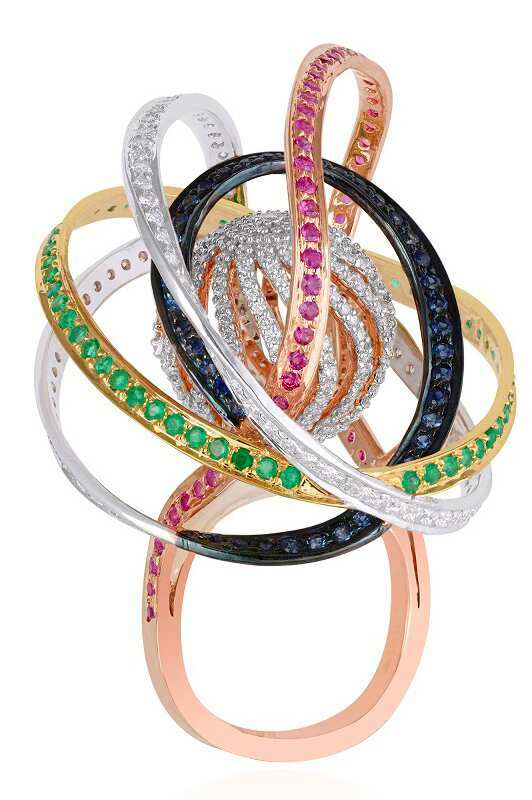 This planetary ring is crafted from pink gold and assorted gemstones. Available in Minawala stores, Mumbai and Bengaluru; price on request. These futuristic chromium sunglasses are inspired by Space Ace eyewear but packed with features for use on earth. Available on Ride 100percent.com; $230 (around ₹ 16,600). From Dior’s Cruise 2019 collections, this red silk twill scarf is a whimsical collage of heavenly bodies and beings. Available in Dior boutiques; price on request.